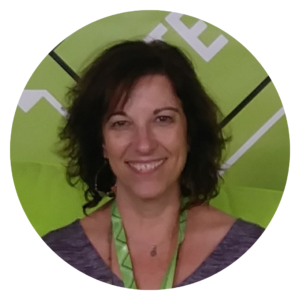 Barbara Finkelstein of Benjamin Franklin Middle School in Teaneck, New Jerseyis the recipient of the 2019 NCTE Edwyna Wheadon Postgraduate Training Scholarship. The scholarship will help fund Barbara’s studies in reading at William Paterson University. To provide funding for professional development experiences for English/Language Arts teachers working in public educational institutions. The scholarship supports postgraduate training to enhance teaching skills and/or career development in teaching. Applicants are required to be teachers of English/Language Arts in a publicly funded institution. At the time of the award, the recipient must also be a member of NCTE. the professional development experience for which you seek support and include specific details such as course titles, planned dates of study, fees, etc. why you feel that you should be considered for this scholarship and how it will serve you in your career. A $500 scholarship is awarded once each year. On behalf of the recipient, scholarship payments are issued directly to any of the following: accredited, degree-granting public and private two-year junior and community colleges, four-year colleges and universities, and graduate and professional schools. Scholarship payments may be used toward degree or non-degree courses. Applicants will be informed of the committee’s decision by March 15, so that the awardee can benefit from proposed activities during the following semester. Edwyna Wheadon was a long-time member of NCTE and was active in the Houston Council of Teachers of English affiliate. During her lifetime, Ms. Wheadon established a scholarship program for teachers in the Houston area who desired to continue their professional development. Upon her passing in 2002, Ms. Wheadon’s family established the Edwyna Wheadon Postgraduate Training Scholarship Fund at NCTE to honor her enduring passion for supporting the career-long education of classroom teachers. The Scholarship Fund is a memorial to her vision, ideas, and work. Questions about the scholarship can be emailed to college@ncte.org.